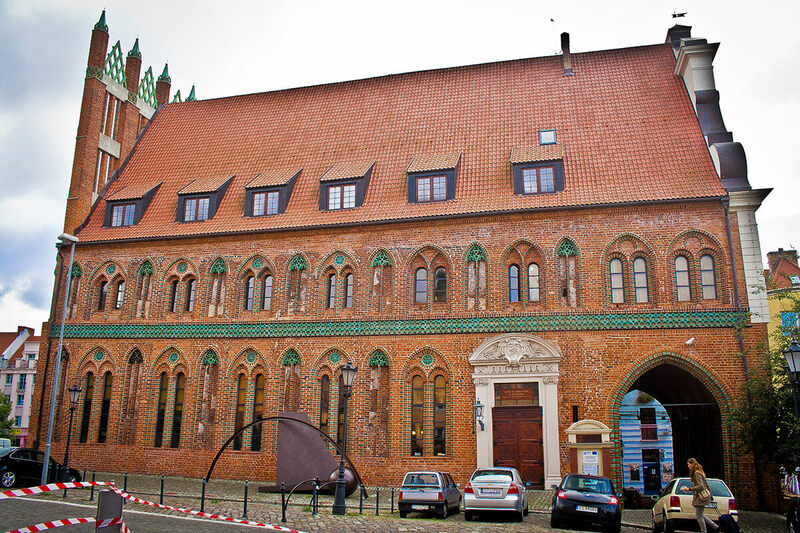 The seat of Szczecin's History Museum is a Gothic old town hall in the castle surroundings, located in the centre of the oldest part of the city – between the Hay Market and the New Market. 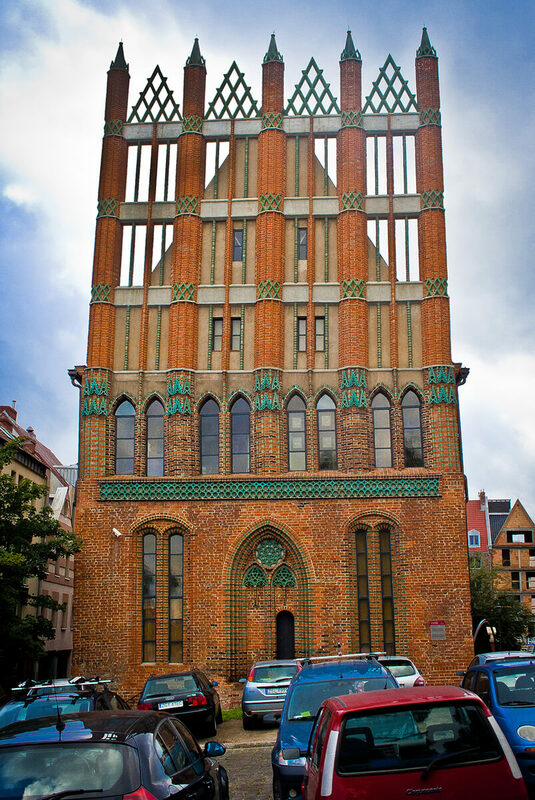 The building, beginnings of which date back to middle 13th century, was given a Gothic form with an arcade, impressive gables and a grand cellar with beautiful „star” rib vaults at the turn of the 14th and 15th centuries, on account of a conversion attributed to Heinrich Brunsberg. After devastation, which the building suffered from when the city was shelled during the Swedish period, it was converted in early 18th century into Baroque style and given a humble appearance with volute ornamentation of gables. Until 1879 it served as the seat of municipal authorities. During World War II the town hall shared the fate of the old town and was devastated again. 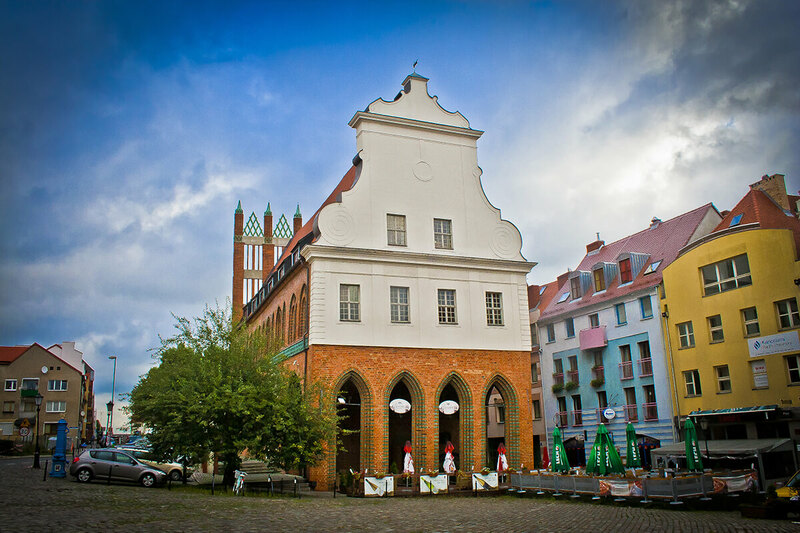 Within the postwar reconstruction of the old town, as one of few historic buildings it was earmarked for rebuilding. 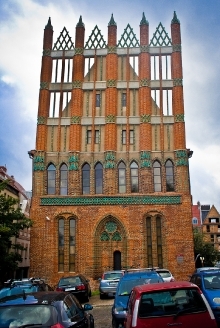 During the restoration of the object, Gothic elevations were revealed and rich, coloured details of brick decoration of the facades was supplemented in a modern form, suggesting old character of northern gable finial. Baroque forms of southern elevation and the main portal remained. The reconstruction was finished in 1975, and the town hall was given to the National Museum in Szczecin as the seat of its city branch. Impressive interiors of the town hall house exhibitions of history and culture of Szczecin of times ranging from the oldest ages – illustrated by archaeological relics – through the times of duchy; through Swedish, Prussian and German periods, to the postwar times with, close to us, final years of the 20th century. Opposite the museum entrance, there is a modern sculpture, The Great Arch (1991) by Bernhard Heiliger (1915–1995), born in Szczecin, one of the most outstanding German sculptors of the postwar period (a deposite of Bernhard Heiliger Foundation of Berlin).